Mr. Moree is the Senior Partner of McKinney, Bancroft & Hughes, and the Head of the Litigation and Dispute Resolution Practice Area and Chairman of the Financial Services & Regulation Practice Area. Time and time again, Mr. Moree has proven himself as a highly skilled attorney with a track record for success, and this is reflected in the various achievements and milestones he has reached throughout his career. He was admitted to the Bar of The Bahamas during February of 1979, and since then he has established a reputation for excellence, scholarship, effective advocacy and achieving success for his clients. Mr. Moree is classified as a Band 1 lawyer in Chambers and Partners and as a Leading Lawyer by IFLR 1000. According to Chambers and Partners “[p]eers and clients agree that [Mr. Moree] is one of the country’s best litigators” and that “he is regularly sought out to assist with high-value, complex cases.” As an experienced litigation attorney, Mr. Moree is well-versed in working in the practice areas of commercial and civil litigation, insolvency, corporate and trust structuring, and financial services. In addition, he regularly appears as Counsel in the courts of The Bahamas, including the Privy Council. Mr. Moree’s experience is extensive, and his practice includes cross border litigation and international cases involving disputes in Europe, the Cayman Islands, the British Virgin Islands, the United States of America, Canada, South America and Africa. He has been involved in a large number of major commercial cases in The Bahamas involving areas such as banking, trusts, insolvency, receiverships, companies and partnerships, insurance and re-insurance, compliance, and more.civil litigation. Chairman of the Commercial Law Committee, member of the Bench Bar Committee and, lecturer and examiner in Civil Procedure. Appointed to act as a Stipendiary and Circuit Magistrate. Appointed to act as and a Judge of the Supreme Court of The Bahamas. Chairpersons of the Arbitration Tribunal. Contributor to numerous articles for Journals and legal publications. Past Member of numerous Government Boards and Commissions, including the Judicial Salary Review Commission. and The Bahamas Electricity Corporation. Former member of The Judicial and Legal Service Commission. Former Director of The Bahamas Financial Services Board. Former Co-Chairman of The Bahamas Trade Commission. Former Chairman of the Board of Directors of the Business License Review Board for New Providence. Former Chairman of the Public Service Commission. Named in 2007 as the Executive of the Year by The Bahamas Financial Services Board in recognition of contribution to the Financial Services Industry in The Bahamas. 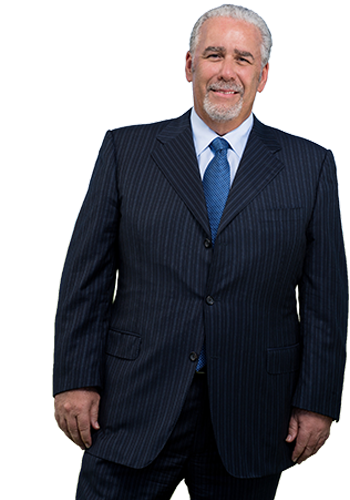 Throughout his thirty eight year plus career Mr. Moree has consistently delivered high quality representation to his clients through the efficient delivery of legal services to local and international individuals and national and multinational institutions.